Royale has a new contest! 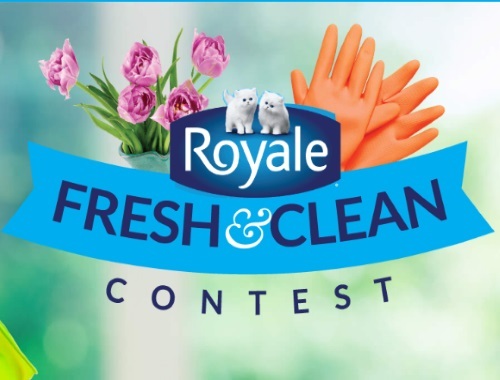 Enter their Fresh & Clean Contest for a chance to win $5000 to refresh a room in your home or purchase spring cleaning gear! Prize includes $4500 gift card and $500 in Royale products. Get your home ready for spring with a prize of your choice! Plus get a coupon for $1 off the first time you enter! Contest closes May 8, 2018. Want more Free Samples and Coupons in 2018? Complete the Shoppers Voice 2018 survey here. Want to see more of our posts? Please join our private Facebook Group here.